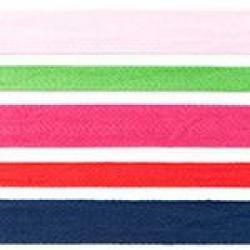 We offer these cotton twill ribbon in variants of 15mm and 25mm. These are ribbons of cotton in which you see woven stripes/ribs. These bands are strong, do not fray and can be washed hot. Cotton twill ribbons can be used in many ways. They are also very suitable for printing or stamping. Cotton Twill Ribbon 15mm - Black..
Cotton Twill Ribbon 15mm - Dark Blue..
Cotton Twill Ribbon 15mm - Grey..
Cotton Twill Ribbon 15mm - Cobalt..
Cotton Twill Ribbon 15mm - Red..
Cotton Twill Ribbon 15mm - Fuchsia..
Cotton Twill Ribbon 15mm - Pink..
Cotton Twill Ribbon 15mm - Lime..
Cotton Twill Ribbon 15mm - Linen..
Cotton Twill Ribbon 15mm - Offwhite..
Cotton Twill Ribbon 15mm - White..
Cotton Twill Ribbon 25mm - Black..
Cotton Twill Ribbon 25mm - Dark Blue..
Cotton Twill Ribbon 25mm - Grey..
Cotton Twill Ribbon 25mm - Cobalt..
Cotton Twill Ribbon 25mm - Red..
Cotton Twill Ribbon 25mm - Fuchsia..
Cotton Twill Ribbon 25mm - Lime..
Cotton Twill Ribbon 25mm - Pink..
Cotton Twill Ribbon 25mm - Linen..